Beautify your property, enhance your home’s kerb appeal and boost its overall value with specialised concrete installations from Fluid Limestone. Our concrete work is both durable and highly affordable, and it yields gorgeous final results. For a look at the types of projects we’ve recently completed, please have a look at our gallery page. As you’ll see, we take a great deal of pride in our work, and the final product speaks for itself. 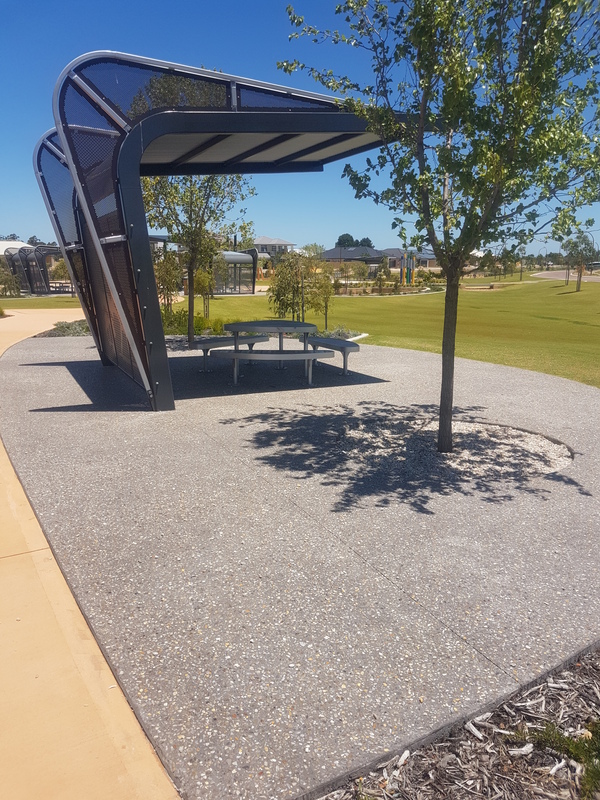 Fluid Limestone offers an entire suite of specialised concrete services, including specialised inlays and other complex jobs that require the attention of a seasoned expert. However, our main areas of focus are liquid limestone and exposed aggregate concrete. Liquid limestone offers homeowners an incredibly convenient means of beautifying their property without adding the need for a great deal of maintenance and upkeep. And its affordable pricing means that it can compete with other outdoor surfacing such as pavers. 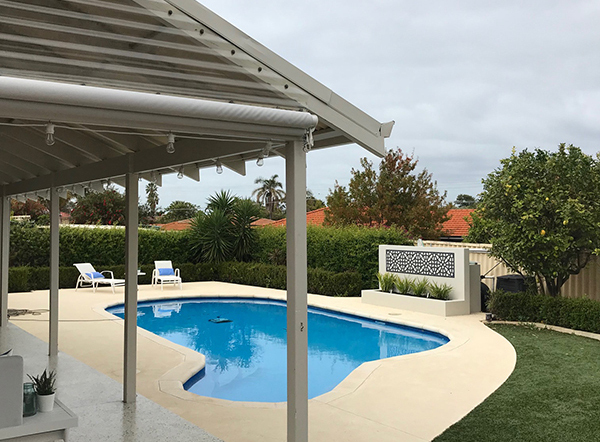 But affordability and aesthetic value are only part of the equation when it comes to choosing liquid limestone in Perth. Imagine having a pleasantly landscaped outdoor area – complete with paved surfaces – without the need for labour intensive maintenance week in and week out. Pavers absorb a great deal of heat, and they allow weeds to grow up between the cracks. This means more maintenance – not to mention discomfort when walking barefoot on hot paving stones. But liquid limestone is impervious to weeds, and it distributes heat much more evenly across its surface. What you get is a long-lasting paved surface that’s easy underfoot and doesn’t require lots of stooping to clear the weeds or pick up debris. All it takes is a clean sweep to clear the surface. 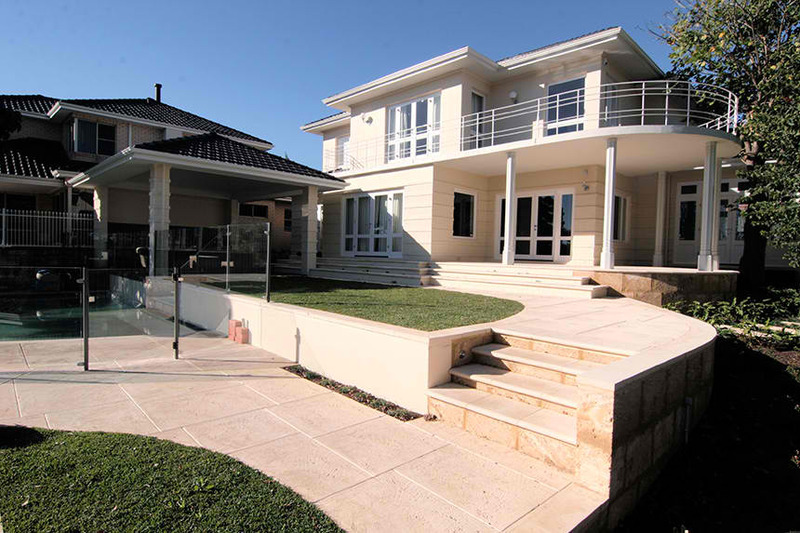 Paving your driveway or walkway with liquid limestone in Perth is a long-term investment. The surface is weather-resistant and unlikely to crack, which means dust and dirt are not likely to build up in crevices over time. For that reason, you’ll enjoy years of worry-free use with very little maintenance required. Because it is naturally resistant to cracking or splitting, even in high traffic areas, invasive weeds and insects are rarely an issue. This makes it much easier to maintain a solid limestone surface than one that is composed of individual tiles or paving slabs. 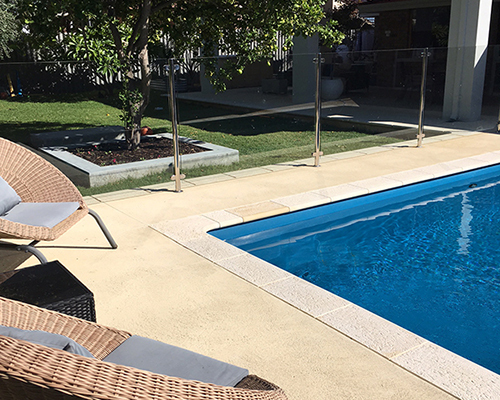 Even on the hottest of summer days, limestone surfaces remain cool to the touch, which makes them ideal for pool surrounds and other areas where you may walk barefoot during the hotter months of the year. The fact that the composition and quantity of the limestone and other materials in each surface can be tailored to meet your budgetary requirements makes it an excellent choice however much money you wish to spend. The ability to change the mix and composition of liquid limestone also makes it a great choice for property owners who wish to create outdoor areas that complement and enhance the appearance of their homes. By mixing crushed limestone with exposed aggregates, we can create an endless variety of colours and patterns, guaranteeing the perfect match for your home. To create this, our team will pour concrete mixed with stones, pebbles, shells to create a solid foundation. In the early stages, the concrete mix is treated the same as regular concrete. However, it’s the later stages that set this type of concrete apart. The concrete is not allowed to completely set. Instead, it’s sprayed with a surface retardant. This allows the inner layers to harden whilst the surface does not. Once it reaches optimal hardness, the top layer is washed with a high-pressure hose to reveal the internal aggregates. The result is a lightly rugged surface that offers exceptional traction.